Welcome to the party! You and a guest are invited to a special advance screening of How to be Single on Monday, February 8 at 7PM in Salt Lake City. Click here to download your complimentary passes. (Passes admit up to two guests, while supplies last. Passes do not guarantee admission as theater is overbooked. Please arrive early for ticket exchange process!) Good luck and we’ll see you there! There’s a right way to be single, a wrong way to be single, and then there’s Alice. And Robin. Lucy. Meg. Tom. David. New York City is full of lonely hearts seeking the right match, be it a love connection, a hook-up, or something in the middle. And somewhere between the teasing texts and one-night stands, what these unmarried all have in common is the need to learn how to be single in a world filled with ever-evolving definitions of love. Sleeping around in the city that never sleeps was never so much fun. 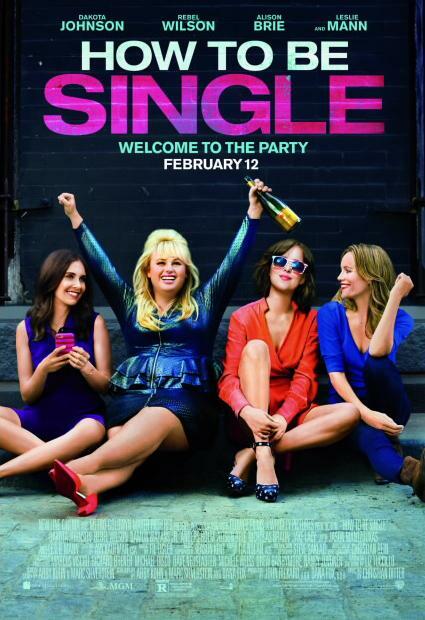 #HowToBeSingle in theaters Feb 12!